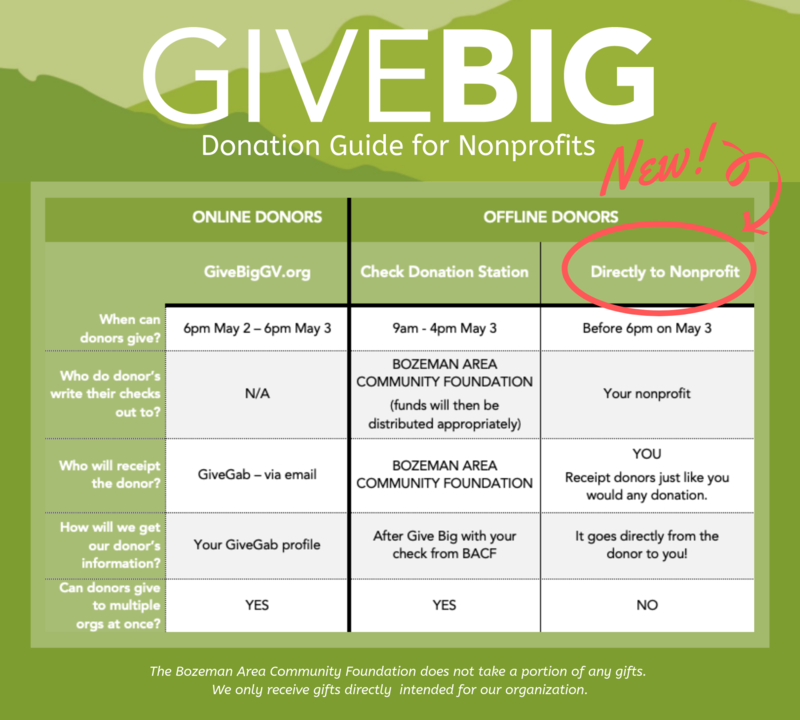 Register for Give Big Gallatin Valley by March 31. Register as a tax-deductible organization with the IRS by January 1. Attest that your organization is compliant with applicable state fundraising laws by April 6. Graphics: Download Give Big Gallatin Valley promotional materials including logos, social share images, print materials, and more!